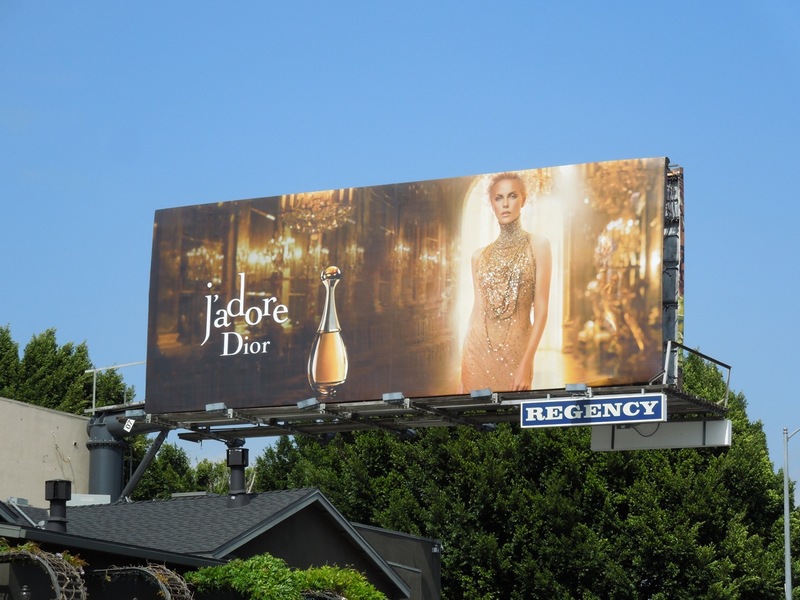 The beautiful Charlize Theron looks radiant and opulent in gold for this billboard for J'Adore Eau de Parfum from Dior. Not only does this ad exude sensual style and sophistication, but it's also the perfect timing for the release of the actress's new movie Snow White & The Huntsman, in which she plays the 'Evil Queen' with some relish by all accounts. 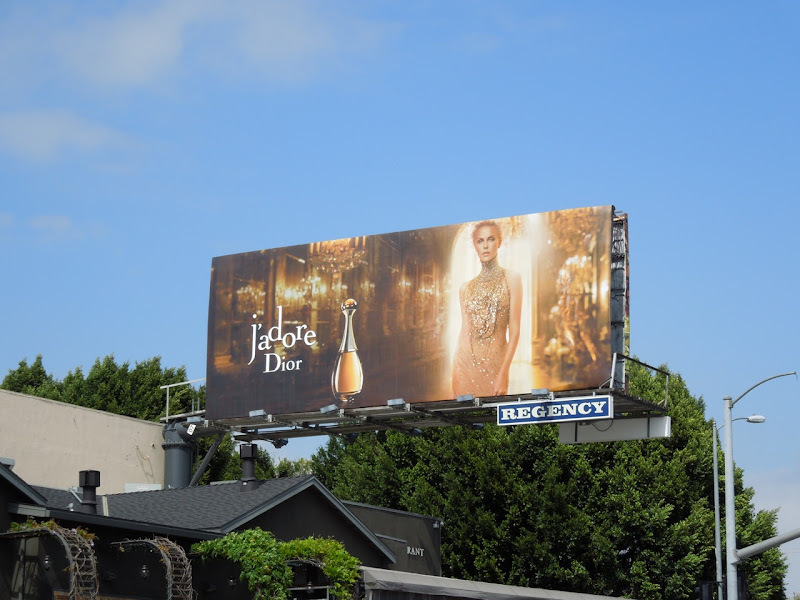 This ever-so-luxurious fragrance billboard was snapped stopping traffic along Sunset Boulevard at Crescent Heights Boulevard on May 3, 2012. 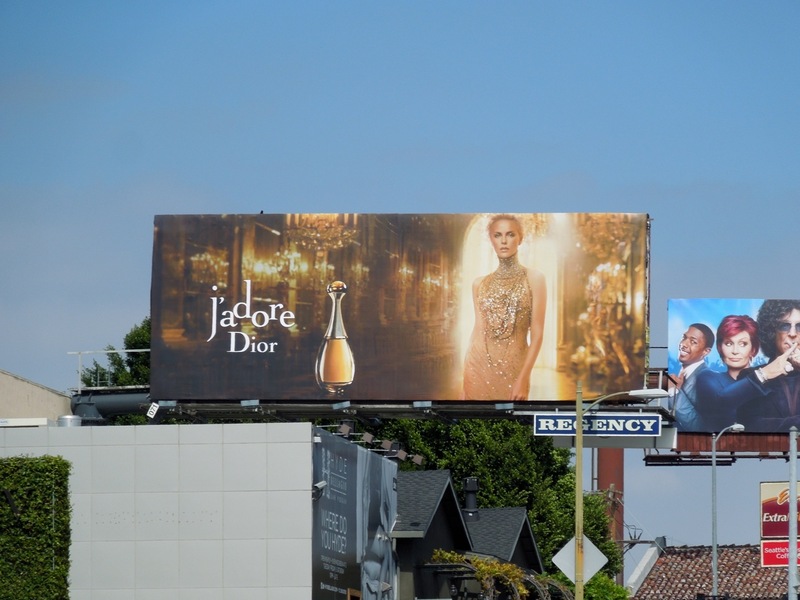 UPDATED: The lovely Charlize Theron is back along Sunset Boulevard for a new variant of the original Dior perfume, J'Adore Voile de Parfum. 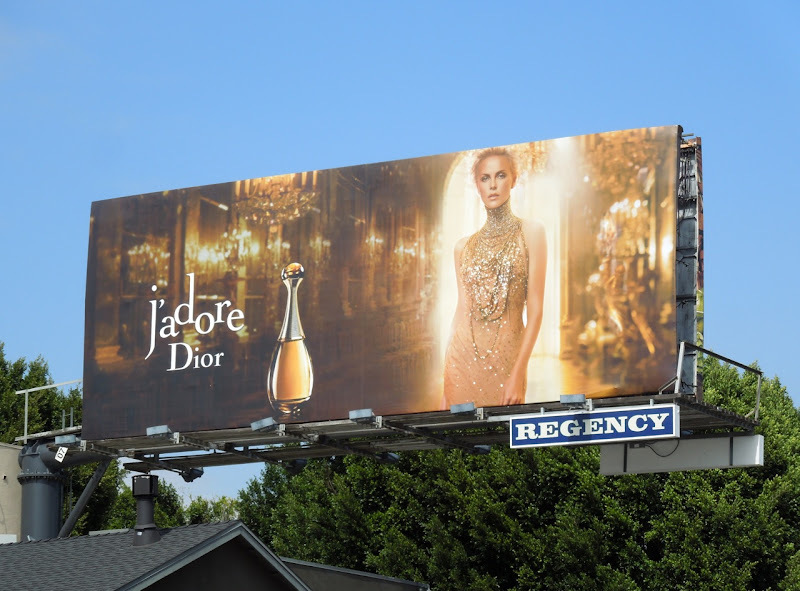 This radiant fragrance billboard was snapped at the top of Sweetzer Avenue on May 9, 2013. 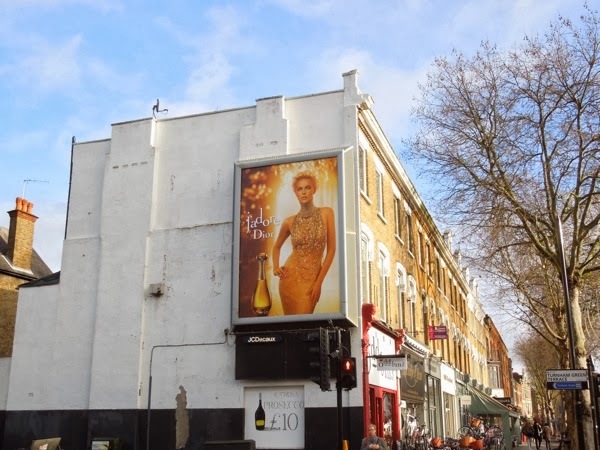 UPDATED: One thing you notice if you spend any time in Britain in the run up to the gift-giving season is how many fragrance adverts there are on TV, in print and out of home. 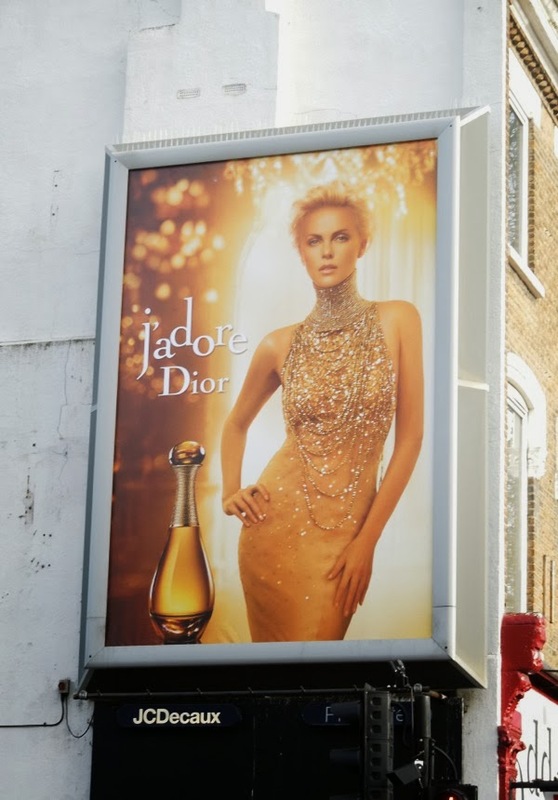 Here's a version of Charlize Theron's luxurious J'adore Dior ad creative spied in Chiswick, London on December 18, 2013.